If you live as far north as we do, you must embrace winter. 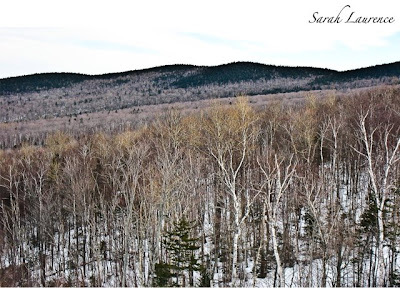 After an ice storm and a blizzard, we drove to Sugarloaf Mountain. 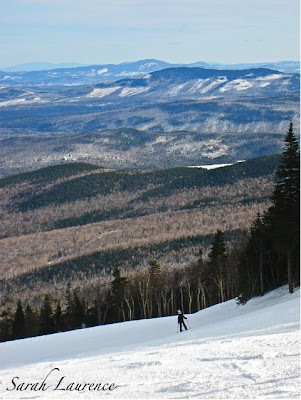 Downhill skiing is the best family holiday for tweens and teens. It’s the age of pushing off and taking risks. A mountain has trails and trails of hazards. I’m sure many of you are questioning my logic, but I grew up taking risks and survived it. I loved the feeling of speed; it was the antidote to high school stress, both social and academic. Instead of racing after fast guys or experimenting with drugs, I galloped young horses through Central Park at dawn and on winter vacations I skied until twilight. I loved that feeling at the mountain peak with the world stretching out below me. The hardest part was pushing off into space, falling through the air and trusting my skis to catch me on the next mogul. I never skied alone. I had my buddy Evelyn, who is now a ski instructor. I haven’t skied enough to be that good. My younger brother and I didn’t have much in common, but we were great ski companions. My parents couldn’t keep up. Now I’m the parent with bad knees and slow turns, but I’ve given my children a good start. At Sugarloaf the kids and I accidentally found ourselves on a double diamond expert slope with monster moguls, rocks and bushes. It wasn’t fun, but it showed that even after taking a wrong turn in life, you can still make it down. Maybe the fact that I’m still skiing means that I haven’t abandoned my inner teenager. I loved writing the teen scenes in my novel S.A.D. Some women adore babies, but I’m truly enjoying the tween and teen years. My 11-year-old daughter asked me to take her to see the movie Twilight and urged me to read the book myself. Twilight? For those of you not raising a girl over ten, let me explain. Stephanie Meyer’s Twilight is THE love story of their generation. Girl meets boy, but boy happens to be a vampire who is lusting after her blood. Boy tries not to lose control and bite her, but girl wants to become a vampire too so she can remain 17 and in love forever. Freud would have a field day with it. Twilight is just the book for these times. It’s the ultimate story of abstinence, of acknowledging the carnal instincts but just saying ‘no.’ If you are a teenager, or remember being one, then you know that this is near impossible. In many ways, the most unrealistic element of the story isn’t the vampire but the notion that bad boy love could be eternal. Only a teenaged girl could believe that, but this book was written for them. Its appeal to adult women must be the same as those snowy cliffs to me; some of us want to jump off and believe that we’ll be caught. It’s a rush. My one objection to the story is that Bella is too much of a victim pining for her dark hero, Edward. There are tough female vampires and Bella is no shrinking violet, but this book still feels gender stereotyped. I want to take Bella aside and explain that Edward isn’t going to change her; she needs to change herself. Am I a middle aged mother? My daughter and her friends are totally in love with the series. Meyer may not have mastered the subjunctive (eg if Edward was a vampire?) but she has mastered romance. The anticipation is more than the kiss. Edward is incredibly appealing, and the story is a fast paced page turner. I would have adored Twilight as a teenager. Meyer captures first love but also the tortuous insecurity of trying to fit in and not having control of the future. Bella worries as much about bad hair days and proms as about falling in love and dying. I’m happy to have survived my teen years and to have them behind me. Donna at The Doll Sweet Journal and Jane Green both blogged about Twilight. It’s interesting the range of emotion this ultimate teen story elicits. Love it or hate it, Twilight is taking the world like Harry Potter. Teenaged girls (and women) are devouring hundreds and hundreds of pages in days. This is good. I have always wanted to try snow skiing, and have thought that people who ski (and ride horses) must belong to some sort of secretive society. I wouldn't mind trying to join, if it wasn't for the fact that you must snow ski in cold weather. After overdosing years ago on all of the Ann Rice stories, I do not know if I could read another vampire novel. The genre seems to be very hot (again) at the moment. I hope you have a happy and prosperous new year! Les, you should have tried skiing Sunday- it was in the 50’s! I’m not that interested in vampires, but Twilight works because it captures teen romance. Happy New Year to you too! Looks like a wonderful vacation! I am so not much of a skier having tried it in Europe-after one too many falls on my face I stuck to reading in the lodge by a big fire:) But it is great your kids are able to do it and congrats on getting down the trail! Thanks for explaining Twilight too. It sounds interesting. Teenagers indeed! Ah, and I see Les likes Ann Rice-one of my favorites. I really like most of her books-just not the witch ones-vampires only thank you! Les-Happy New Year! Happy New Year, dear Sarah! About downhill skiing...great memories...thanks for reminding me about why I used to love the sport. It was the freedom of the controlled fall, I think. I once watch my ski leave on its own down the med/adv hill. I had no alternative but to go down on one ski. I sat on it and road it as if it were a sleigh. (How am I doing on the subjunctive case? ha) The onlookers cheered because they thought I was doing a trick. You could put that in a teen book, I think. Maybe, my daughter would read it instead of Twilight??! No, really nothing against the book, she was hooked on the Harry Potter series for years...is it over, yet? JK's number certainly came in with those: books...movies...toys...clothes! Did I forget anything? Oh, yeah,the jelly beans! Happy Year Ahead! Happy New Year, Sarah. I love your description of the feeling of skiing--I ride sometimes, but never got any good at skiing, even water skiing. My little niece loves Twilight, but I'm so behind in what I have to (and want to) read that I probably won't get to it. Anyway, your kids are really lucky to have a mom who understands their need to take risks. Best wishes for 2009! My 11 year old loves the series too. She's even seen the movie twice, and she loves that it was written by a Mormon since we are too. Me? I'm not so into it. Then again, I've never been all that girly when it comes to my entertainment. I generally don't like romances. I find them to be too sacchrine most of the time. I usually end up rolling my eyes and shaking my head and wanting to yell at the main characters (not unlike you wanting to pull Bella aside). I mean, I don't mind a little romance in an overall story, sometimes it's nice in fact, but not really into the romanic genre inself. Your photography is stunning. No surprise there. Your second one is my favorite. I love seeing all the layers as it stretches into the distance. Happy New Year's, Sarah! I wish you all the best in '09! Thanks for mentioning me and linking to my blog! I'm flattered that you remembered my Twilight review. I'm glad you read the book and enjoyed it. I think it's a great thing for mothers and daughters to share. I just finished the second book on Sunday, having started it three days earlier. I'm hooked on the series! I never thought I would be and I avoided the books for a long time, but I'm glad I decided to see what all the hype was about. I think the story is fascinating and fun, and I agree with what you wrote about it. I'm planning on starting the third book after I read a few other books first that are on my list. You're planning on reading the rest of the series, right? I enjoyed the skiing pictures and your thoughts on skiing with your family. Happy New Year! Hope you have a wonderful New year. I love these photos. A great year and blessings for a great new one as well! Tina, downhill skiing takes years to master so don’t take it personally. Après ski is fun too. There are no witches in Twilight, just vampires and werewolves. I haven’t read any Ann Rice. Happy New Year to you and your family. Katarina, Happy New Year to you too. Cynthia, so the trend has spread to Puerto Rico. Paranormal fiction is not usually my thing, but I like to keep tabs on what my children are reading. I wish it could just be books and not all the merchandise. The Twilight movie was very true to the book although more violent. I preferred the Harry Potter books over Twilight on every count but romance. “Freedom of the controlled fall” exactly sums up skiing. I admire your style getting down the hill on one ski too. W2W, I like your term of “healthy risks.” I wish my daughter were gobbling up the classics, but anything that reinforces the habit of reading is good. I was hooked on Nancy Drew’s at that age. My daughter was testing me on her vocabulary words and asked me how I knew all of them. “By reading books other than Twilight,” was my response. Meyer, like Rowling, is a great story teller, but the language isn’t beautiful or complex in either series. There is plenty time left to discover fine literature. She is hungry for reading just like I was at that age. Cosmo, you’d probably be good at skiing if you stuck with it. Riding and skiing are similar on the fear factor and the steep learning curve. Both get you out in nature. There always seems to be more books to read than time to read them. Best wishes to you too for 2009. Alyson, Twilight seems to have gone viral in junior high. Like you, I’m not a fan of the romance genre, but I do like a book better if it has a good (ie not sappy) romance in it. The mountains were even more breathtaking in person. Happy ’09 to you too. Donna, your blog on Twilight intrigued me. I doubt I’ll read the rest of the series because I have so many other books to read. My daughter has read the first 3 books in just this month, which must be well over 1,500 pages. Her brother gave her the last book for Christmas which was extra sweet because he’s sick of hearing about Twilight. Happy New Year to you too. Yolanda, Kari and Kijsa, thanks and Happy New Year to you all too. I guess I am going to have to read Twilight! Everyone is recommending it and I must admit to curiousity! I wish you a truly Happy New Year and wish you the best on your book!! Your post brought back memories of some "bad boy" boyfriends! I was old enough to know better and am lucky that they are now just amusing — rather than tragic — stories about my younger self. You've almost convinced me to give "Twilight" a go. Usually I steer clear of blockbusters (books or movies) but I am intrigued. Pamela, I’d be curious to hear your take on Twilight. I’m enjoying all the reading and family time, but I’m also counting the days until I can get back to my writing. Thanks! Ms. Wis, at least those “bad boys” are just amusing memories. Now that would be an interesting blog post…. 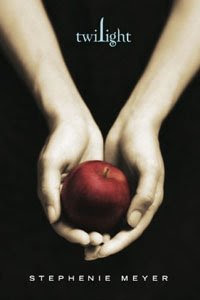 Twilight has certainly captivated teenagers so read it if you want to get an insight into them. Thanks for explaining the allure of Twilight - I really should read it to see what all the excitement is all about. Hope you and your family have a terrific and creative new year. Happy New Year Sarah! I haven't skied in so many years but it is a total rush! I'm a wimp though and only ski in moderately warm weather. Thanks for enlightening me on the Twilight books. I heard them mentioned many times and hadn't a clue. In ten years I will be dealing with my own Twilight - ha. Elizabeth, I’m always curious about a book that everyone is reading especially in this market. Best new year wishes to you too. Cindy, I prefer double digit weather for downhill skiing too. You’ll be amazed how quickly your baby becomes a tween, the girls especially. I thought I’d never stop rereading those board books and now I almost miss them. 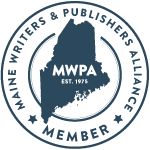 I love to hear about Mainers who love the outdoors in winter. Most of the time, people are complaining about the cold and snow. I feel like we're blessed with the glorious change of seasons, so let's embrace them! If you and your family is ever going to be in the Oxford Hills, let me know. I'll arrange a dog sled ride with my sons and their racing teams - now THAT's a rush! 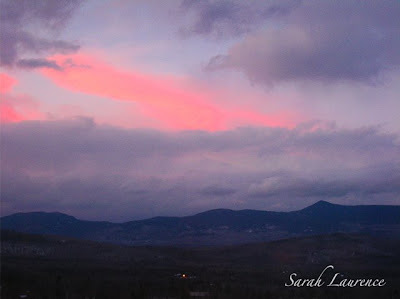 Beautiful photos, Sarah; they make me want to put on some skis! Well, almost:) That is one of my regrets in life, that I never learned how to ski. Now I don't think my knees would let me. Thanks for the great review of Twilight. My granddaughter, who's 13, has been in love with Stephenie Meyer's books since the series first began. She has urged me over and over to read one of them; maybe I'll finally take the plunge. In the meantime, it's great to hear an adult's perspective of the series. But I do trust Granddaughter's judgment in books--she's as apt to pick up a classic like Wuthering Heights (she loved it!) or even Romeo and Juliet as she is a fantasy novel. We often discuss books when we get together; needless to say, I am very proud of her. Sarah, I like the way you tie together the physical rush of skiing with the emotional rush of Twilight. That passionate intensity is so easy to lose as we get older . . . and yet we need it to feel truly "alive." I haven't read Meyer's saga yet, but as you point out, there is such a buzz around those books. Certainly my teenaged daughter and her friends have been devouring them. Even a couple of reluctant readers I know have found the books to be completely addictive. Now that the holiday rush is finally over, we definitely have the movie on our agenda for this coming week. Must close for now, as we are going to Oxford (!!) for the day . . . but I look forward to catching up with you soon. Happy New Year! Mary Ellen, wow, that’s quite an invitation, thanks! It sounds like your family has totally embraced winter. Winter sports do make it fun. Rose, Twilight shares romance with Wuthering Heights and Romeo and Juliet but not literary grace. I still don’t think there is any harm in reading both. I enjoyed talking about Twilight with my daughter and discussing what worked and what concerned me. It sounds like your precocious granddaughter would enjoy that conversation with you. We grownups are always suggesting books, it helps balance the relationship to take some suggestions from our children. I Wish I Could Read Like a Girl, needless to say it featured an 11 year old girl reading the Twilight series over winter vacation. I think there is something to be said in trying to understand how and why these books appeal to this generation rather than condemning them. Say hello to Oxford for me – I’m jealous. I’m looking forward to catching up soon. Welcome home. 'If you live as far north as we do, you must embrace winter'. There's an excellent sentence to ebign a post You surely choose them well. None of that tepid British self-deprecation that it's so hard for me to put up with. Yuo embrace winter because it's there and it bares its beauty (and ugliness) to you and yours. I loved the carefree spirit running through this column, your mementos with your younger brother and how you are giving your children the same opportunity. And what I loved the most was how you weaved (intentionally? unwittingly? You're the only one who can tell :-D) the plot of Twilight with your own children#s raison d'etre. I've heard a lot about Twilight and my feelings echo yours. I have not read the books, though, so I might be talking out of my... :-) but it seems to me that the formula of girl meets boy and falls in love is rehashed again. Thanks for this beautiful post and for those striking images. ACIL, that’s exactly the difference between New England and England. I wonder if climate shapes attitude. I choose my reading to match my mood or the reading creates the mood. Either way I aim to weave my reading, my writing and my art into my life and my blog. Twilight does tap into classic themes, but it does it with a contemporary, real teen voice. Happy New Year to you too. I hope your new year would be nice!! You should post your blog on TopTwilightBlogs.com to get a bunch more viewers. Haven't visited your blog for a while but I shall be back! It's juicy and informative and fun and absolutely one of the best I've met. Happy New Year, Sarah! Your skiing story had me shivering in my socks! Congratulations on making it down that Double Diamond expert slope. You are one brave woman. As for the Twilight series... let's just say I agree with you. On all counts! Kengot, my new year was low key. We skipped the neighborhood skating party (brrr) and had champagne by the fire with French cheeses. I hope you had a nice new year too. Anonymous, this is just one post on Twilight, not the theme of the blog. I do occasionally review other Young Adult fiction titles – click on the blog label at the end of the post. Jan, welcome back and thank you! I’ve enjoyed your blog too. JaPRA, is Roxi reading Twilight too? The series is going global. It’s good to have you back. Happy New Year! I had to add that my daughter is now reading and enjoying Little Woman, a book that had once felt intimidating because it was so long. She pointed out that it is 200 pages shorter than the last Twilight book. 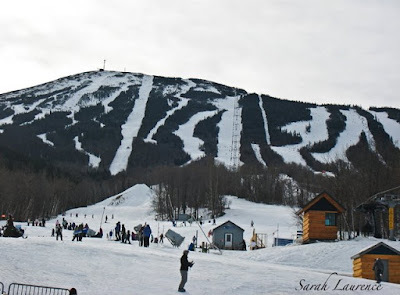 The best day at sugarloaf was in the 50s! I loved going down skidder and hayburner again and again with my friends! I have to say Twilight is my favorite book! It has romance♥, action☠, and suspense with a little bit of a twist: it isn't any stereo typical romance novel! What I think is different than any other corny romance book is that Bella isn't looking for any romance, she is perfectly happy with her normal life but then she sort of trips into all this trouble without thinking! I like your blog post but i have to say that Twilight is more targeted to young adult: about 11-20! Call me crazy but I don't think that Edward, the vampire who Bella falls in love with, is the best character. He seems too perfected like a comic book super hero or whatever. I actually like Emmett, his huge big brother, the joker of the family better! He has a better developed personality.